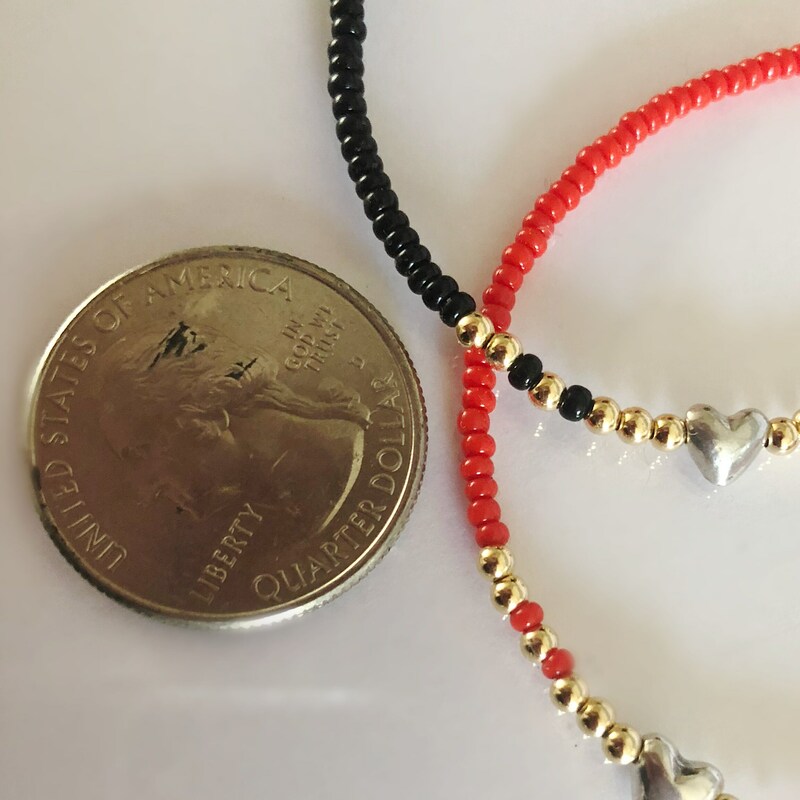 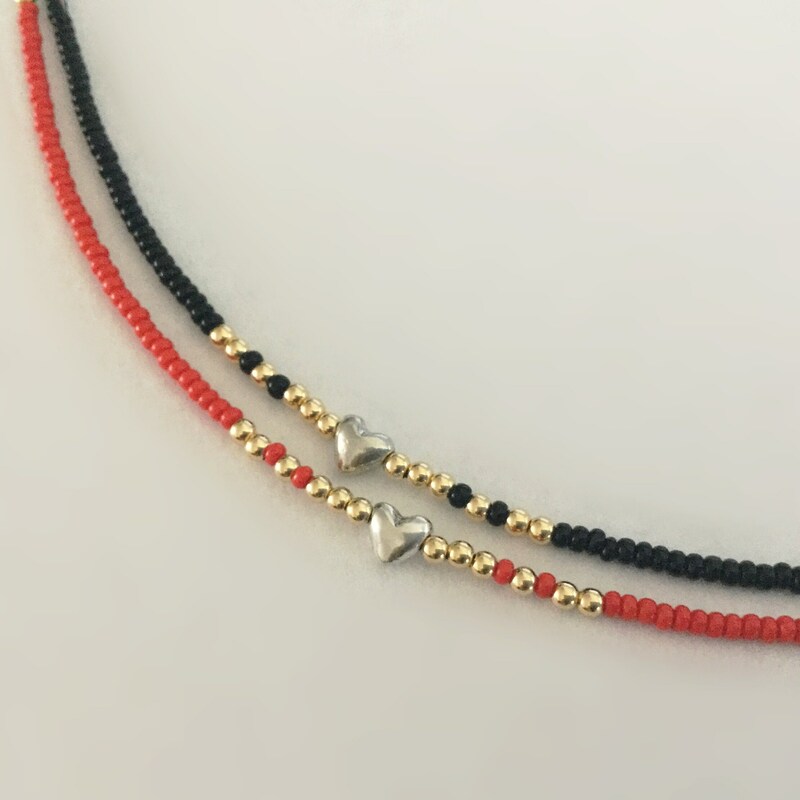 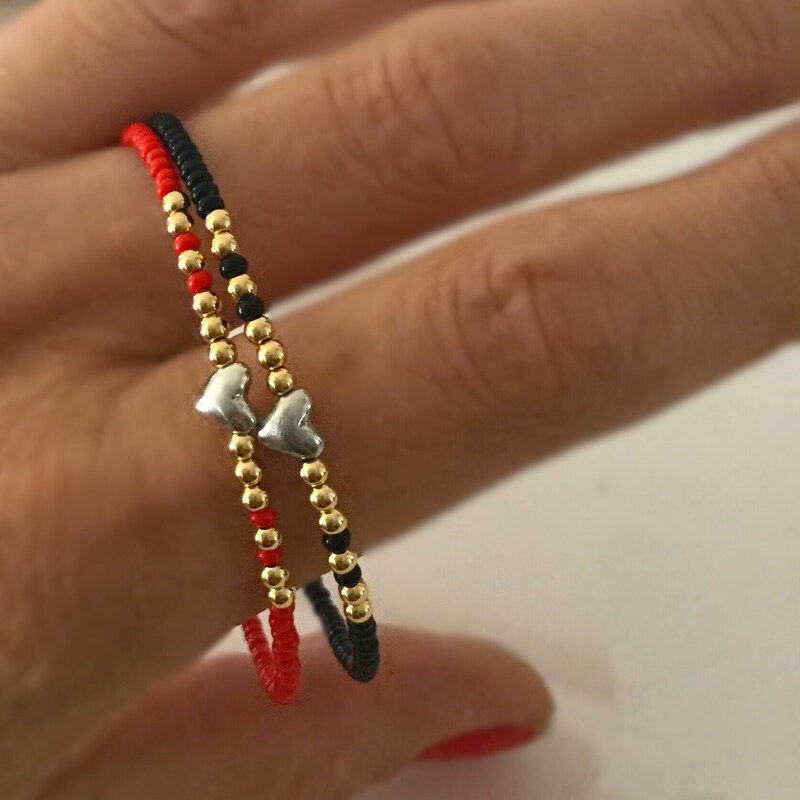 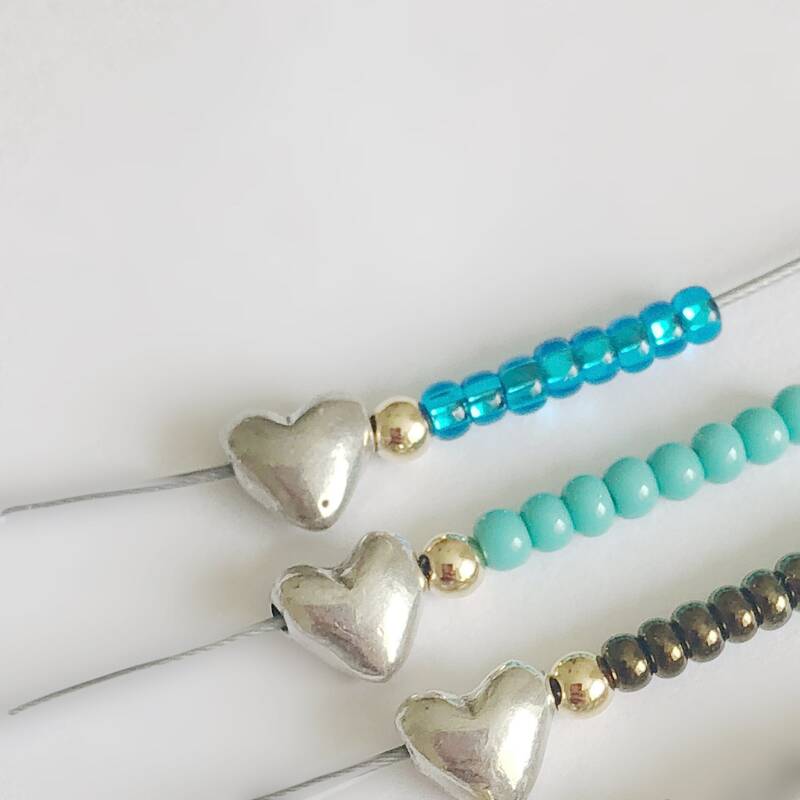 Beautiful little “Never take it off” bracelet with coral red, black, golden brown, turquoise or sparkly ocean blue Seed beads, 14 solid 2.2mm 18k yellow gold beads and a tiny Sterling silver heart. 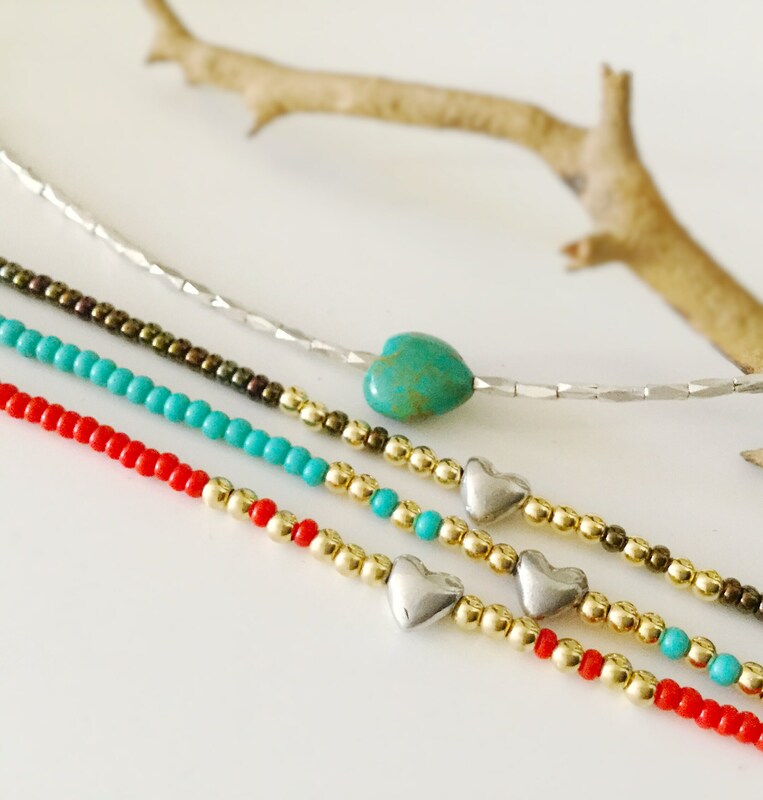 Great for the daily pop of color and for stacking. 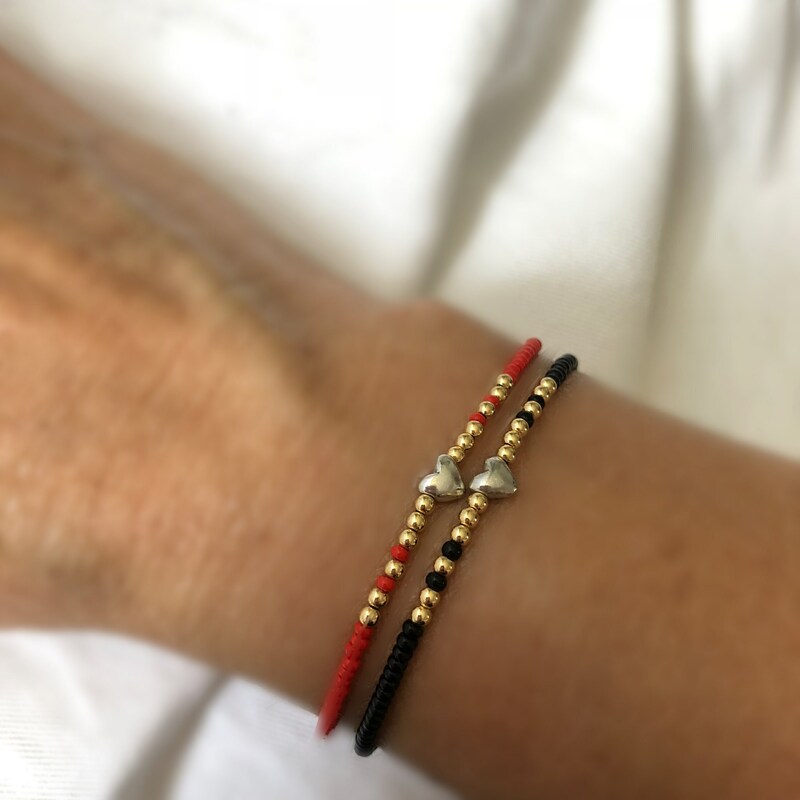 Very pretty bracelet and I really like the fact that Sabine uses solid 18K gold and sterling silver for this bracelet... and at a great price! 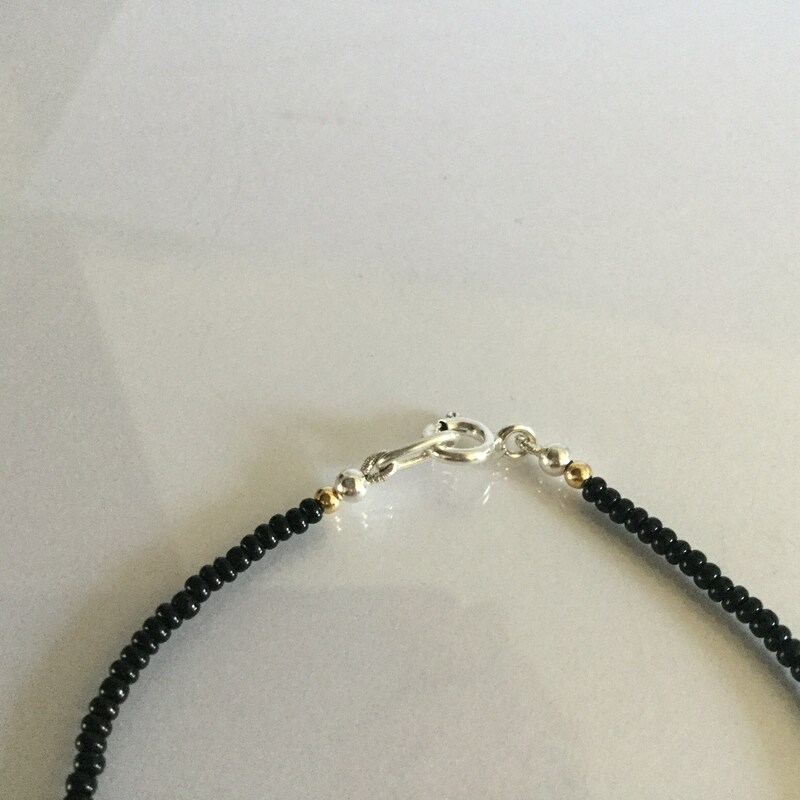 The bracelet arrived very fast and packed in a beautiful box with a personalized note from Sabine! 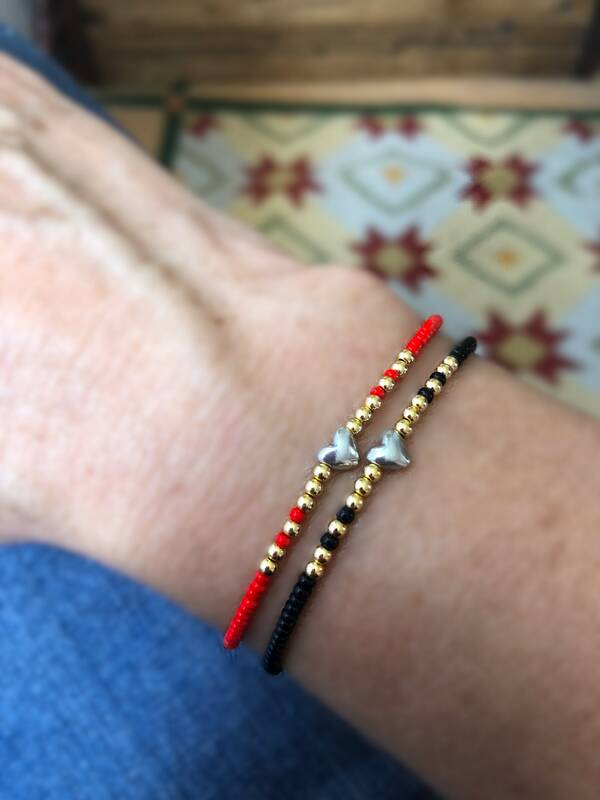 Don't hesitate to order from her.